I'm pretty sure this is the cutest Disney park proposal I've ever seen and it involved a talking trashcan. Walt's 110 birthday was this week! I really like this contemplative picture of him at Disneyland. You have got to go look at these crazy Disney ice sculptures. 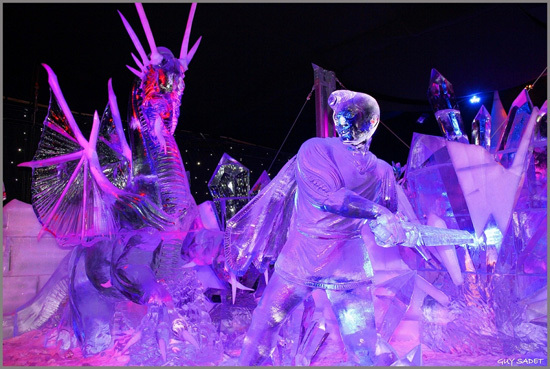 These are from the 10th International Snow and Ice Sculpture Festival in Bruges, Belgium. There are more pictures here and a 360 virtual tour here! Christmas time means Muppet Christmas Carol time. Enjoy some "It Feels Like Christmas," and Micheal Caine's awesome dancing skills.